IMPORTANT: A while ago someone sent me this coin. Whoever you are, I need to know who you are and how you got it. 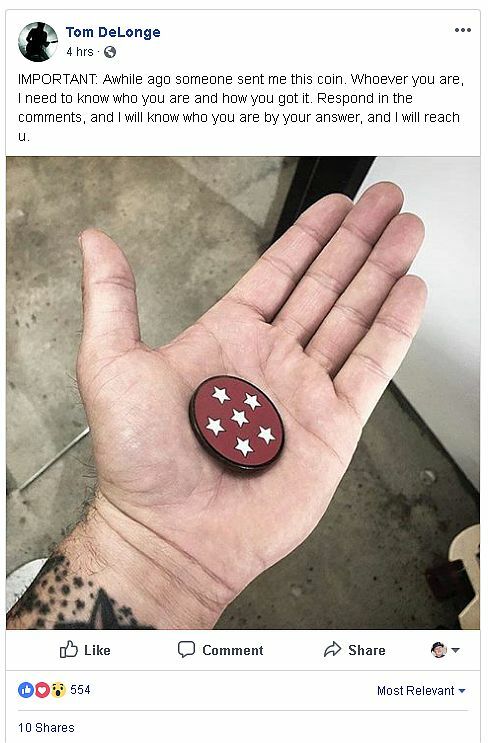 Respond in the comments, and I will know who you are by your answer, and I will reach u.
DeLonge's Facebook post of July 12, 2018. In fact, this coin was a novelty item sold by the now-defunct "Northwest Territorial Mint." 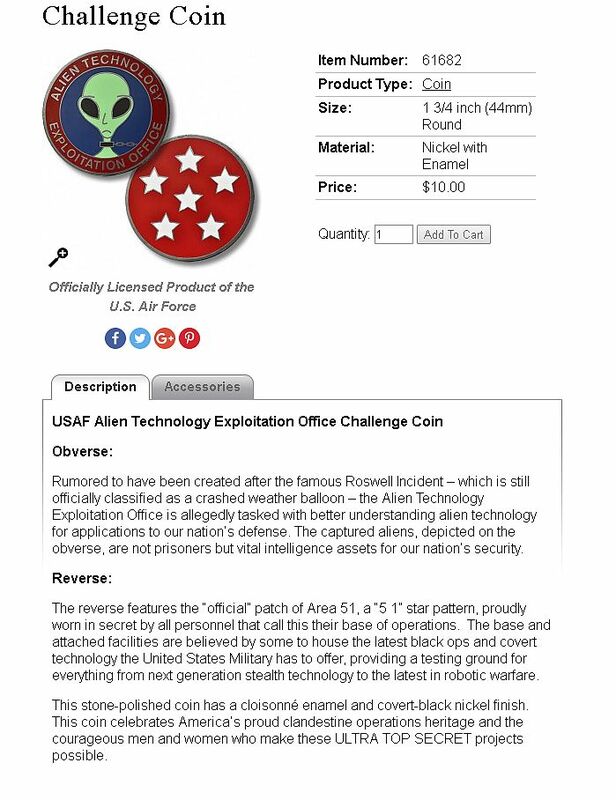 The six stars on the back are supposedly arranged to represent 5 & 1, or Area 51. This was pointed out in the chain of almost 200 comments (thus far), but apparently ignored. DeLonge has a history of deleting stupid posts, so I made sure to save a copy of it before he had a chance to do so. As of this writing, the post is still there. 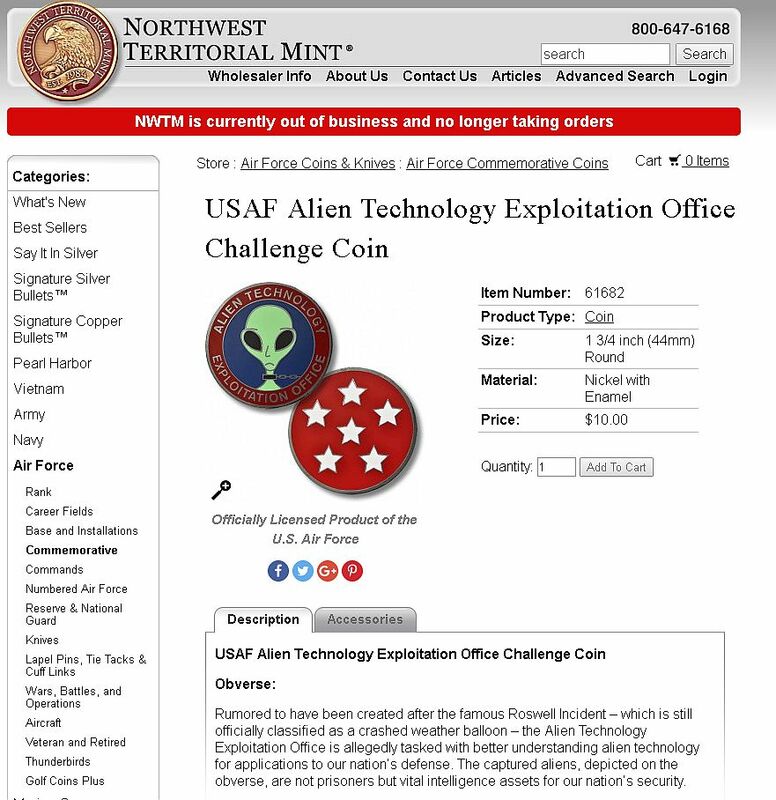 That same "mint" also sold a coin from the "Integrated Zombie Eradication and Containment Command." It's a good thing that DeLonge didn't find one of those. Hmmm, no comments lately. Wondering why? Is it because everything I say is transparently obvious? I think everyone's still face palming DeLonge's gullibility so they can't type. Yes, but still enjoy Colavito and you cataloging it. Counting the weeks till Delong makes an appearance on AA. I'd been struck by the lack of comments recently, too. Your reports on this site are well-researched and informative as ever. Is it that the whole To The Stars fiasco has achieved the seemingly impossible and finally killed interest in the subject? 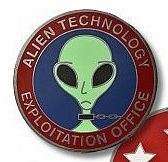 So apparently rumour has it, according to a little green frog, that the coin was sent by notorious pranksters on a web forum called 4chan. Seems, they have their own way of sorting the wheat from the chaff. Good on them! 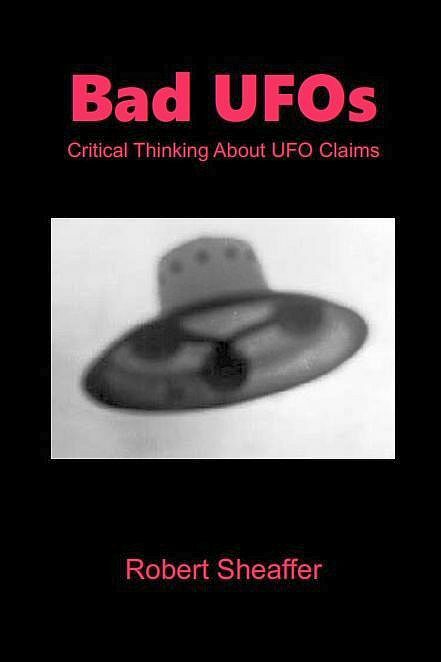 I think we can forget about the silliness from Uri Geller's former promoter and Tom's right hand man Harold Puthoff! Also it's strange for all of Elizondo's years of experience in 'intelligence' he didnt have the nous to tell Tom that someone on 4chan bought the coin on ebay and sent it him. Oh well.